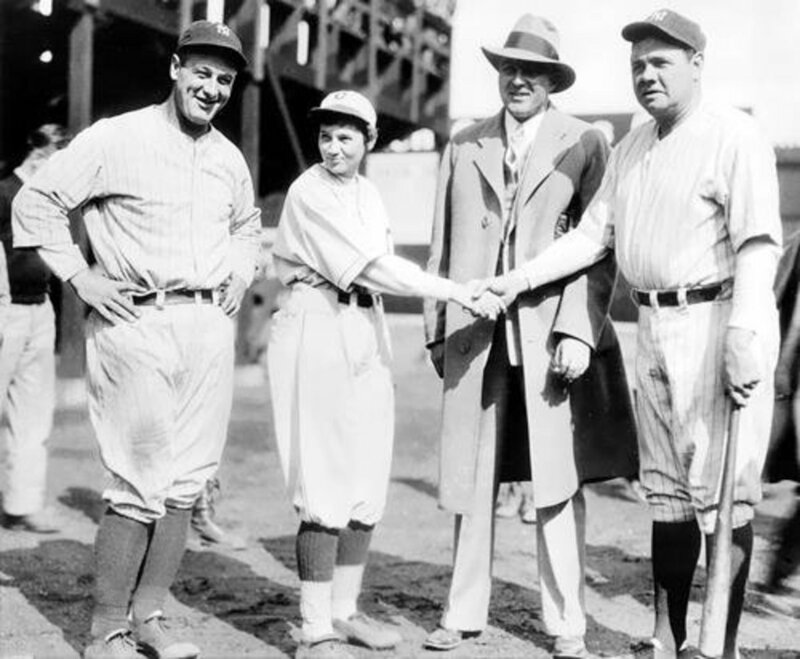 Jackie Mitchel with Lou Gehric, Babe Ruth and Joe Engel. Jackie Mitchell was born on August 29, 1913. Her full name was Virne Beatrice Mitchell. She was only the second professional female baseball player in the history of the game. The first was Lizzie Arlington. She pitched in a game for a team known as the Reading Coal Heavers in 1898. At a very early age, Mitchell's father had her on a baseball field and was teaching her the basics of the game. Her next door neighbor had been the professional baseball pitcher known as Dazzy Vance. He was a professional baseball player for 20 years and was inducted into the Baseball Hall of Fame. 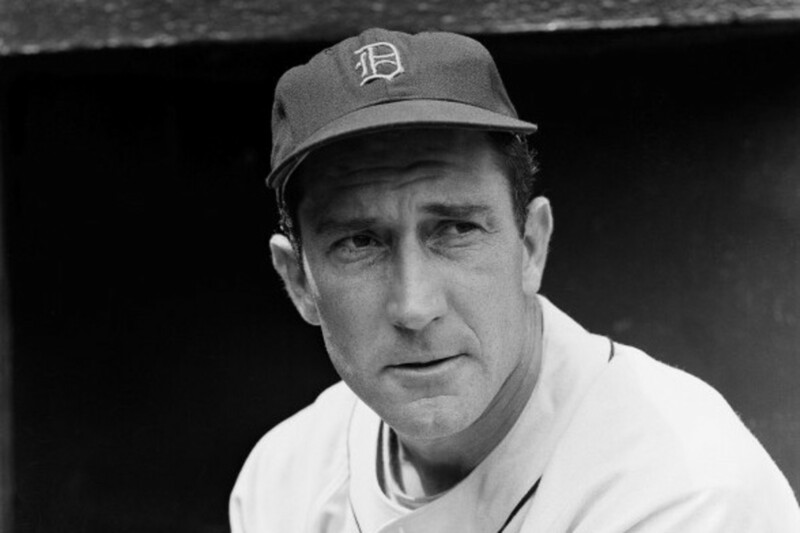 Vance was the only player to ever lead major league baseball in strikeouts for seven consecutive seasons. 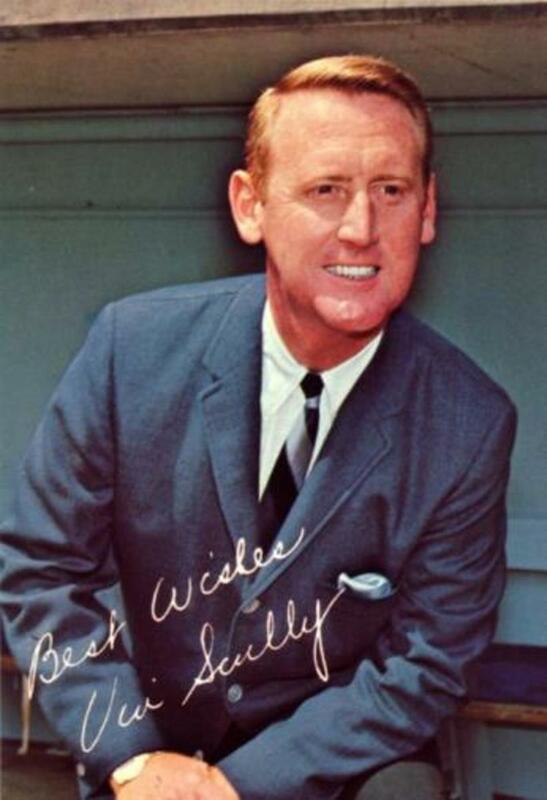 He would spend time with Jackie Mitchell teaching her how to throw various types of pitches such as a breaking ball and his special way of making the ball drop. When Jackie Mitchell was 16, she started playing for a woman's baseball team known as the Englettes. The team's home was Chattanooga, Tennessee but they would go to Atlanta, Georgia for their baseball training camps. 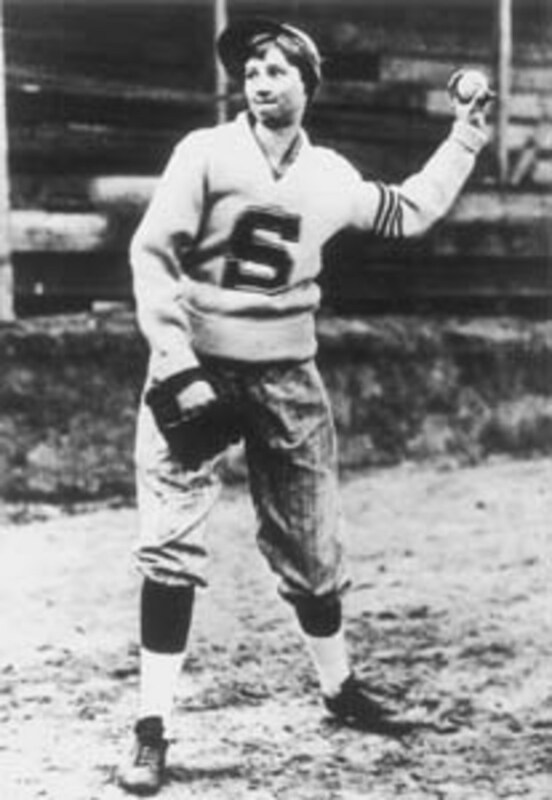 During one of these baseball camps, Mitchell's pitching skill caught the attention of Joe Engel. He was president and owner of the Chattanooga Lookouts baseball team. Engel was known in the world of professional baseball for his willingness to perform publicity stunts as a way to promote his teams. This was during the Great Depression, and his stunts often resulted in drawing large crowds to see his teams play. Engel was impressed with Jackie Mitchell's pitching and decided to sign her to the team. She officially became part of the Chattanooga Lookouts on March 25, 1931. Newspaper reporters were fascinated by Mitchell's ability to pitch using a unique side-arm delivery. This enabled her to put both speed and a strong curve on the ball when she threw it. Managers believed her greatest ability was being able to control the ball when she pitched. Many felt she was able to place the ball in any area she desired. Coaches were impressed by her ability to quickly identify a batter's weakness. Many of the sports reporters in Chattanooga believed she had the ability to be the first woman to regularly pitch in the big leagues. 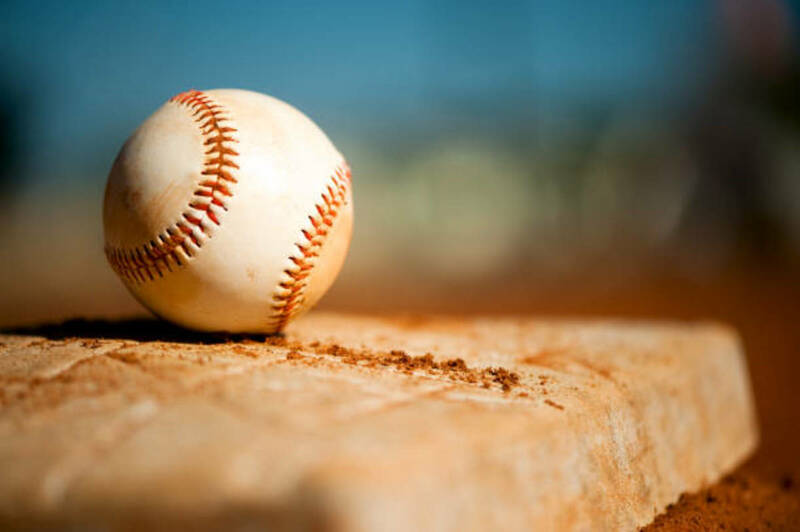 The Chattanooga Lookouts were scheduled to play an exhibition game with the New York Yankees. The game was rained out. The game was played the next day, April 2, 1931. This was when Jackie Mitchell took the mound in the first inning as a relief pitcher. The starting pitcher was Clyde Barfoot, and he'd just given up a single and a double. The next two scheduled batters were baseball legends, Babe Ruth and Lou Gehrig. Jackie Mitchell was throwing her trademark sinker. 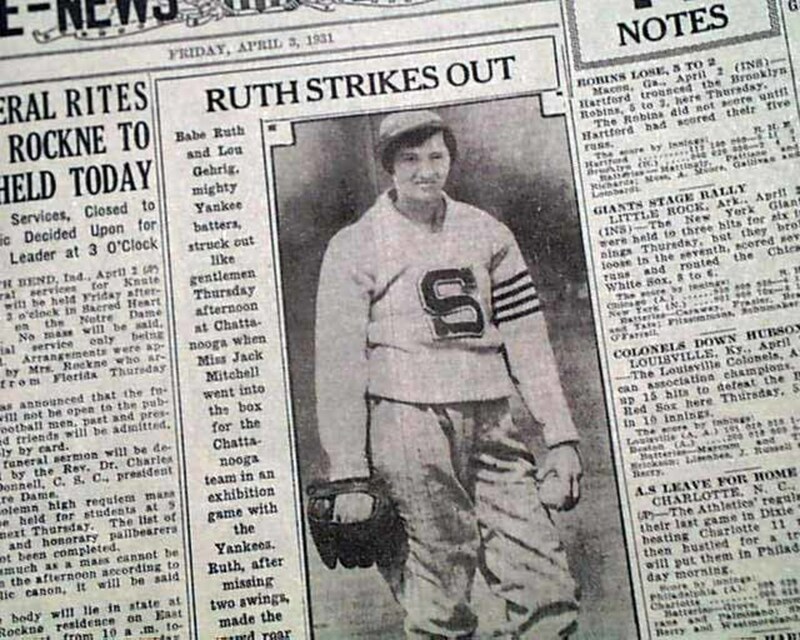 Her first pitch to Babe Ruth was called a ball. During the next two pitches, Ruth swung at both and missed. He asked the umpire to inspect the ball. A new one was thrown out to Mitchell by the umpire. The fourth pitch delivered to Babe Ruth was a called third strike. Ruth was furious. He glared at the umpire and started screaming at him. Other Yankee players had to come onto the field and lead him away. He was calm by the time he reached the bench. During this time, the crowed was screaming their approval for Jackie Mitchell. After the game, Babe Ruth told a Chattanooga newspaper that he didn't know what would happen if women were permitted to play baseball. He felt they were too delicate and it would be too difficult for them to play every day. The next batter Mitchell would face was Lou Gehrig. She threw three pitches, and Lou Gehrig swung through all three of them for the out. The crowd's excitement was almost uncontrollable. They gave her a standing ovation that lasted several minutes. Mitchell walked the next batter, and the coach took her out of the game. The Yankees eventually won the game 14-4. 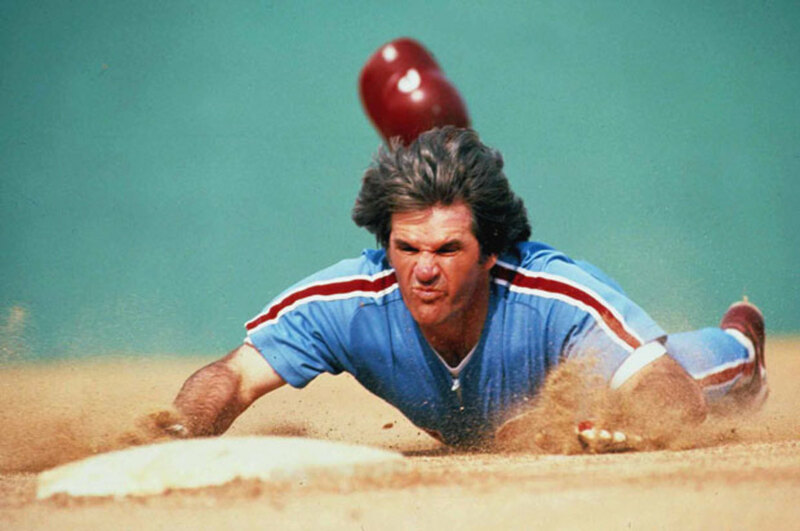 Jackie Mitchell became famous in the world of sports. She was only professional female baseball pitcher who consecutively struck out two of the greatest players in the history of baseball. The commissioner of baseball at that time was a man named Kenesaw Mountain Landis. He voided Jackie Mitchell's contract because he felt that baseball was too strenuous and women were unfit to play it. Other people were quite upset that Jackie Mitchell was able to pitch against such baseball legends. Some called her pitching performance a burlesquing of the national pastime. The president of the organization in charge of minor leagues called her a female mound artist. Others said her pitching performance was the same as a hot dog eating contest or greased pig contest and nothing more than a poor promotional stunt for a baseball team. 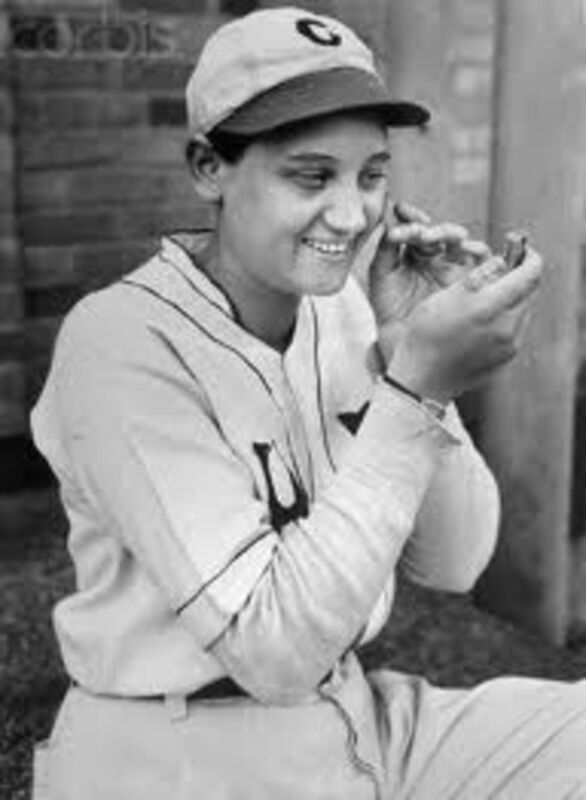 After her famous game in 1931, Mitchell continued to play baseball with other amateur teams. In 1933, a barnstorming team known as the House of David offered Jackie Mitchell a contract to play for them. 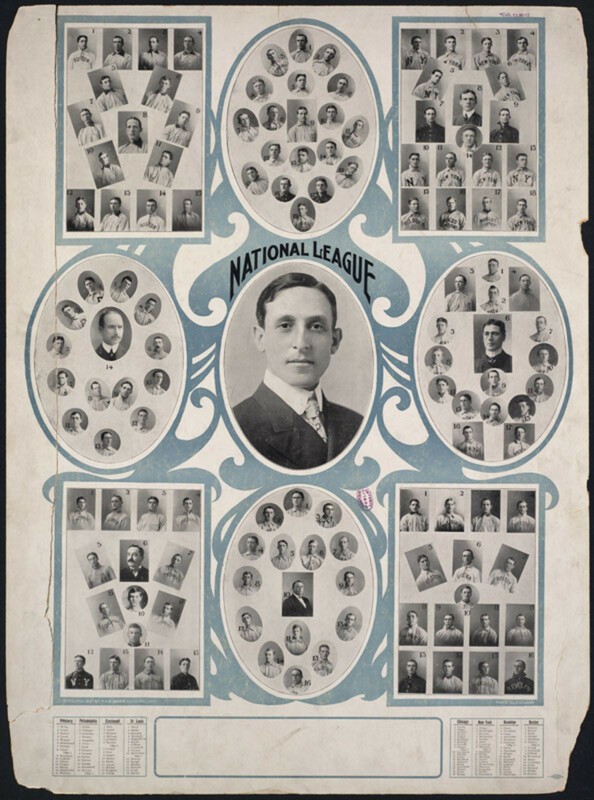 A barnstorming team would travel to towns and cities around the country and play exhibition games with the local baseball teams. Mitchell was now 19 years old and agreed. She traveled with the team and was chaperoned by her mother during these games. The team was known for their on-field antics such as wearing fake beards. Mitchell would also wear one during some of the games. Mitchell got an opportunity to pitch a game in St. Louis against the Cardinals. The House of David defeated them 8 to 6. The antics of the House of David team began to wear on her. Mitchell wanted to play baseball and not be a sideshow. She called it quits when they requested her to play baseball while riding a donkey. In 1937, Jackie Mitchell retired from playing baseball. She was angry and frustrated at having her pitching abilities ignored. Mitchell knew she had proven that she was a genuinely good left-handed pitcher. Too many times she had been treated as a sideshow for promoting a team. At the age of 23, she left baseball and went to work for her father in his Tennessee optical business. Mitchell refused to play in the All-American Girls Professional Baseball League when it was started in 1943. 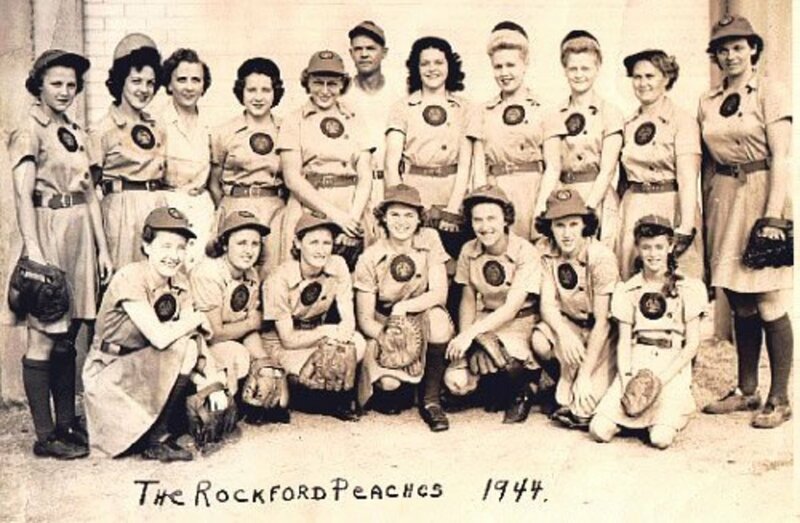 Women were officially banned from signing Major League Baseball contracts in 1952. Jackie Mitchell did throw out the first pitch to start the season in 1982 for the Chattanooga Lookouts. Jackie Mitchell died on January 7, 1987. Penny, thanks. I agree, she had a rare talent that was certainly not fully appreciated. Wow! What an incredible woman. It's too bad that the leagues failed to recognize her worth as a pitcher at the time. FlourishAnyway...thanks. I agree with you. Remember the people in the stands when Babe Ruth was struck out by her were cheering wildly. The people who saw it appreciated what Jackie Mitchell achieved. I had never heard of her. It's too bad that Babe Legend couldn't be a good sport about it. What a loser. My opinion of him has really sunk. We need to appreciate talent in whatever package it comes in, raise each other up rather than hold each other down. I'm sure she was so very frustrated by the time she quit the game. brenden, thanks for reading the article. She was a unique talent for sure. how does she do it. LR Thanks. My only guess is that too many Yankees fans would not want to think about Babe Ruth being struck out by a 17 year old girl. Just fascinating. Why has a sports fan like me never heard about this? Mike, great again. I just posted her pic and your article to Twitter. Let's get you even more readership. These stories need to be told. Good luck.